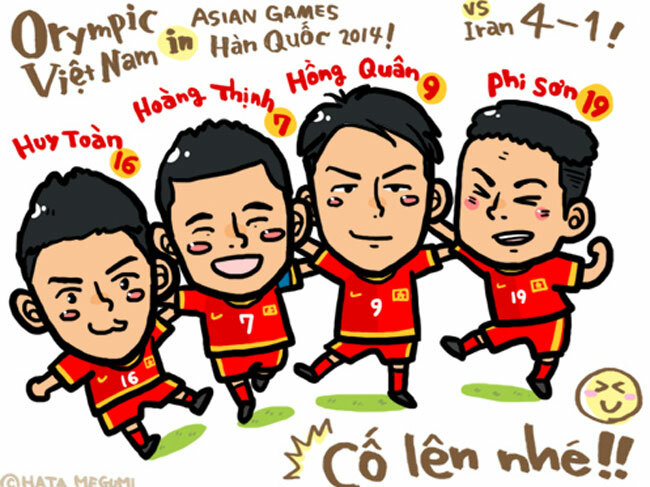 On Facebook: Hata drew four Vietnamese footballers in Chibi style after the Olympic Viet Nam football team deafeated Iran 4-1 at the qualifying round of the Asian Games 2014 in South Korea. During the past two years, Vietnamese football fans and reporters have become familiar with the sight of a Japanese freelance photojournalist standing on the pitches in Viet Nam, taking photos of local footballers and supporting them. 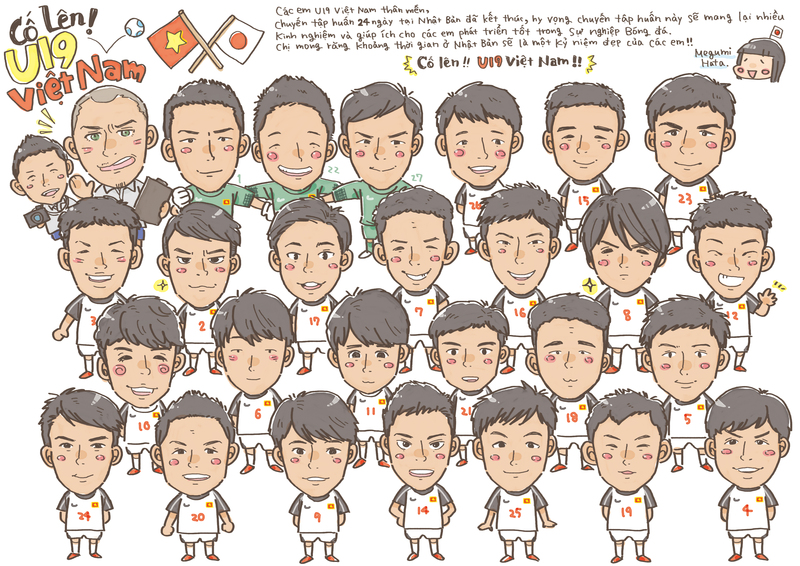 They have also been impressed with her draw-ings of Viet Nam's U19 national football team in Chibi, or super deformed style, on a Facebook fan page named: "Manga: Vietnamese football and Japanese football". Seeing what she has done to show her love for Vietnamese footie, people are surprised to find out that Megumi Hata was born and grew up in Tokyo, Japan. Hata, 32, now writes articles and draws Chibi pictures for Japanese football newspaper El Golazo, football magazine Soccer ai and the official mobile site of Japan League Division 1 professional football club Kashiwa Reysol. In Japan, she knew nothing about Vietnamese football except for top striker Le Cong Vinh when he played for J-League Division 2 side Consadole Sapporo on loan in 2013. 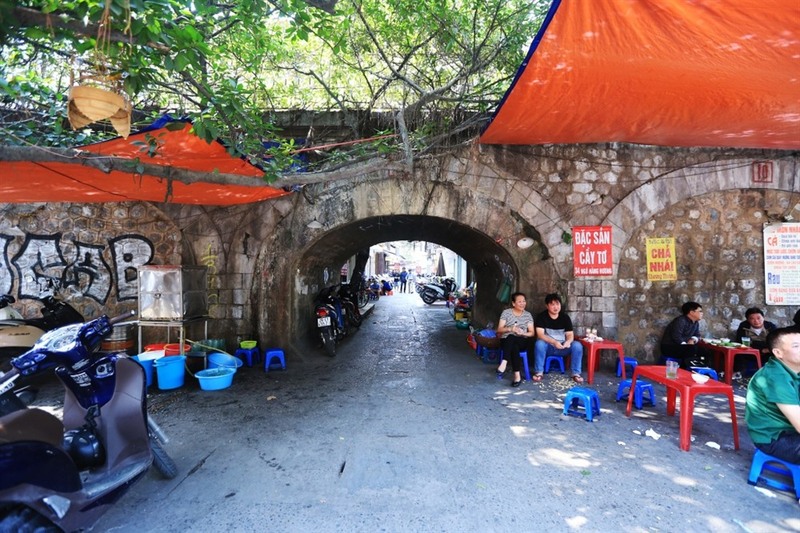 Her love for Vietnamese football started when she watched a friendly between Becamex Binh Duong and Kawasaki Frontale in the southern province of Binh Duong on a business trip in 2013. She felt the passion Vietnamese people have for the beautiful game, and enjoyed the experience. In 2014, she made frequent flights from Tokyo to Ha Noi to watch V-League matches. "My favourite team is the men's U19 team. I watched most of their matches last year. 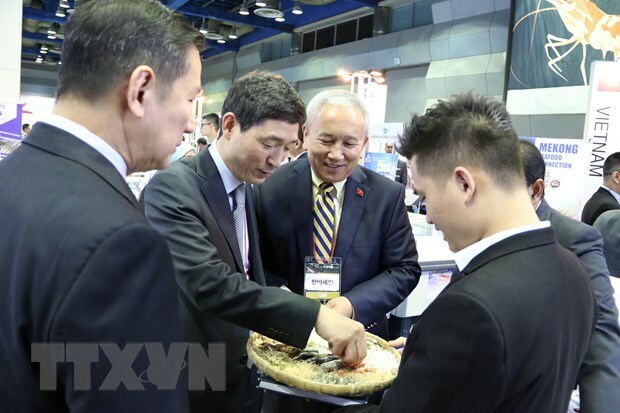 "There are talented players in Viet Nam, and they always play full of spirit and energy. My love for Vietnamese football has become stronger thanks to them." Last July, Hata flew from Tokyo to Osaka to support Viet Nam's U19 team in their one-month training course. To show her love, she gave them a drawing of the squad with her best wishes in Vietnamese, which was translated by a friend. Hata tries not to miss any Vietnamese matches. 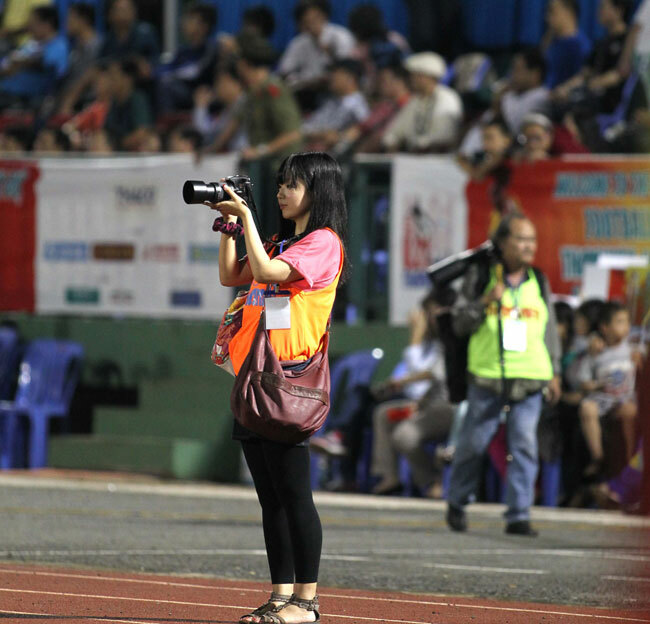 Last September, she went to Ha Noi to support the U19 team at the ASEAN Football Federation Nutifood U19 Cup 2014. 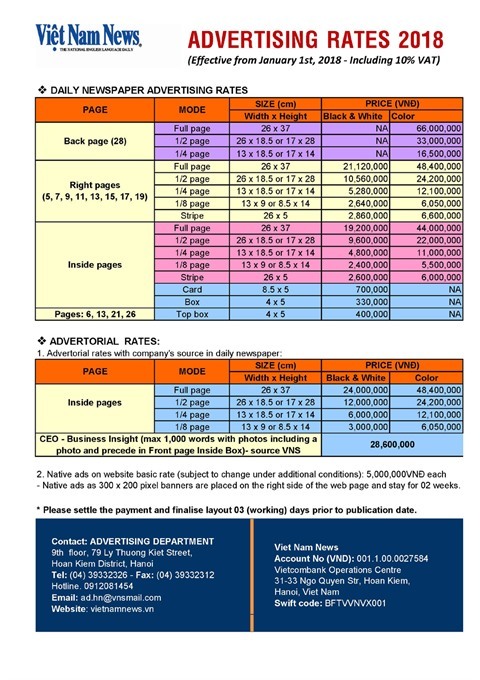 Tu Minh Chien, who works for Vietnamplus online newspaper, has met the Japanese journalist several times while covering football tournaments in Viet Nam. "My first impression of Hata was her friendliness and her great love for the U19 players, trained by Hoang Anh Gia Lai-Arsenal JMG Academy. My second was her drawing skills. She can draw anytime and anywhere, as long as she finds something interesting," he said. "She loves Vietnamese football and the local people." From March 27-31, Hata went to Malaysia to watch all three matches of Viet Nam's U23s which seven of the U19s played in, at the AFC U23 Championship qualifiers. Although Japan's U23s also participated at the tournament in Malaysia, she said her main reason for going was to watch the Vietnamese squad in action. 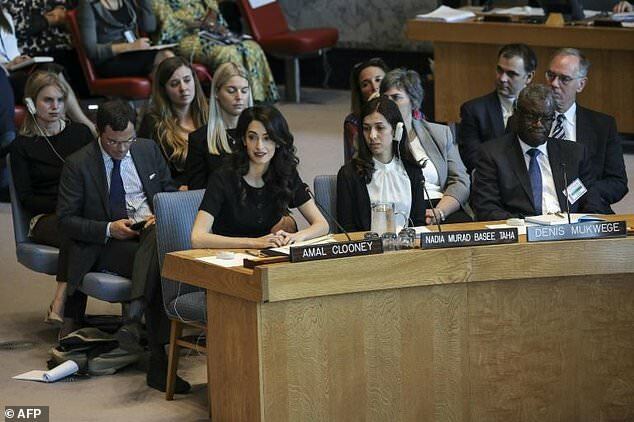 "I usually support my country. That is a natural thing for me. I am Japanese, and I love Japan, but in another way, I love Viet Nam too. I always support Vietnamese football. I cannot choose because I love both Viet Nam and Japan," she said. "Japan were not strong 20 years ago but we have been working with good coaches from other countries. Japanese footballers and coaches have been studying and training hard to increase their skills and physical strength. Thanks to this, we have been to the World Cup five times." "I think Vietnamese players have great passion, learn fast and work very hard. They are good at attacking but weak in defence and off the ball," Hata said. On Facebook: Hata gave her drawing of footballers to U19 team as a present during their one-month training course in Osaka, Japan last July. Impressed by her love for Vietnamese football, Tran Van Minh, deputy director of Hoang Anh Gia Lai Sports Company, invited her to go to Pleiku to visit the academy in Gia Lai on the opening of V-League 2015. "Although Hata is not a professional sports journalist, the way Viet Nam's U19 team plays has sparked something in her and her love for Vietnamese football," he said. In her free time, she likes to draw Vietnamese footballers in Chibi style as a way to show her love for them. Her drawings are posted on her Facebook page and have gained many "likes" from Vietnamese fans.